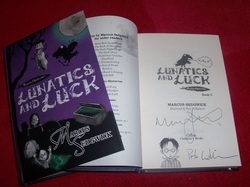 Orion Children's Books, UK, 2011. Hardcover. Book Condition: New. Peter Williamson (illustrator). 1st Edition. 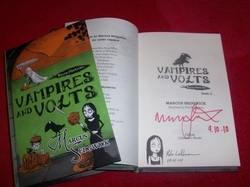 Signed and dated by the author, signed dated and hand-sketched by the artist. 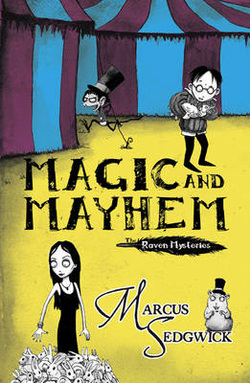 Join the wonderfully weird Otherhand family and their faithful guardian, Edgar the raven, and discover the dark secrets of Castle Otherhand. A trip to the circus has far-reaching consequences for the Otherhands when Fellah goes missing. Before long the Castle is plagued by a duck, a suspect fortune teller, and several cartloads of lethal cabbages. The family is preoccupied: Valevine is busy inventing a cabbage-counting machine; Minty is waiting to hear the secrets of the universe; and Solstice has discovered that Cudweed is concealing three hundred and forty-two rabbits in his bedroom. When chaos strikes and thieves infiltrate the Castle, it falls to Edgar to extract his family from a very fluffy predicament. 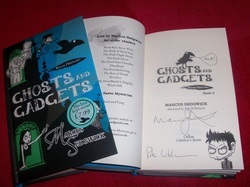 Signed by Author and Illustrator.